It’s time to reduce the political influence of Japan’s dwindling rural, primary sector interests. In Japan, 2018 ended with a rather anachronistic piece of news that nonetheless caused a minor shock in the international community. In a bid to resume commercial whaling, Japan announced its withdrawal from the International Whaling Commission (IWC). Japan Times noted that legislators with large whaling communities pushed through the move with the acquiescence of Prime Minister Shinzo Abe, despite a continued decline of whale meat consumption among the Japanese general public and refusal among major retail and restaurant chains to carry whale meat-based products. The article noted that the reluctance of younger Japanese to consume whale meat means any rebound in demand for whale meat after the resumption of commercial whaling is unlikely. The entire fiasco concerning the rights of the whaling community is illustrative of the disproportionate political power wielded by Japan’s shrinking foodstuff producers both on land and in the seas. While the presence of the whaling industry has shrunk to a few coastal communities surviving on government subsidies, the larger Japanese agricultural population has also fallen below 2 million as of 2016. The fact that people in the primary industries, making up less than 2 percent over the country’s population, can become a powerful and independent political force is perplexing and detrimental for both the country’s economic and political future. Most exemplary of the Japanese primary sector’s political power is the Japan Agricultural Cooperative (JA). JA, an organization that offers marketing, packaging, and transport of agricultural products across the country, also evolved to become a conglomerate with interests in banking and insurance. Its commercial reach brings it into a conflict of interest with its role as a regulatory body for agricultural production in the country. To protect the interests of domestic producers, JA actively lobbied the Japanese governments for more subsidies for the country’s dwindling number of farmers while obstructing any efforts to reduce the country’s high tariffs on imports of rice and other agricultural produce from abroad. Combined with continued marketing of Japanese products as superior in both quality and safety, it has managed to maintain the Japanese general public’s suspicion of foreign produce and support continued high prices of groceries in general across the country. Yet, as Japanese salaries remain stagnant, JA’s cartel-like behavior poses an increasing threat to the country’s economic prospects. With the Japanese general public spending a large portion of their income on purchasing food, consumption of other products remains far below what is potentially possible should food prices be much lower. The artificially low consumption of non-food-related products, in turn, weakens firms relying on the domestic market for their survival and the Japanese economy as a whole. Without the lobbying power of the JA, agricultural tariffs could be lowered, providing the Japanese general public much cheaper food products, freeing up money for more overall consumption. Aside from being economically detrimental, the likes of JA and whalers affecting decision-making at the highest level of government distorts Japan’s democratic politics. The over-representation of the primary sector in government decision-making corresponds to under-representation of the country’s urban areas, where residents may have largely different values and priorities from their rural counterparts. If city-dwellers are fairly represented, government spending in subsidies for farmers and whalers could be reallocated to solving urban issues, ranging from lack of kindergartens for young working parents to lack of resources for acculturating growing foreign populations. The inefficient use of tax revenues on propping up the country’s uncompetitive primary sector also takes away much-needed resources that could prepare the country to be much friendlier to both foreign and female workers, as the Abe administration very much hopes to do in its current economic reform plans. This is, of course, not mentioning the damaging effect rural interests have on Japan’s image on the international stage. Whalers pushing the Japanese government to withdraw from IWC is drawing criticism from animal rights groups and the general public from across the world. Meanwhile, the likes of JA opposing a reduction in food import tariffs weakens the bonds between Japan and its trading partners by making free trade agreements all the more difficult to achieve. 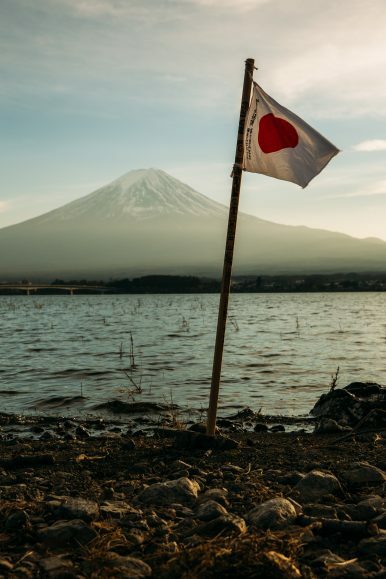 Weaker economic ties, in particular, drive a wedge between Japan and its allies, weakening political, diplomatic, and even military relationships at the same time. Hence, it is high time that the Japanese government reins in the oversized economic and political influence of the country’s rural primary sector interests, represented by JA and the whaling industry. By shifting the country’s focus to its booming cities with dynamic and innovative firms, the country can avoid going down with the dwindling population and productivity of its farmers and fishermen. By throwing government support firmly behind city-dwellers, Japan can reorient itself to a more cosmopolitan future in policymaking, rather than being stuck with the conservative, antiquated interests of an increasingly few people that can do nothing but hurt the country’s image abroad and development at home. Xiaochen Su is a Ph.D. candidate at the University of Tokyo specializing in immigration issues. He previously worked in East Africa, Taiwan, South Korea, and Southeast Asia. Large and in Charge: Who is Taro Aso? Controversy has surrounded Japanese Finance Minister and Deputy Prime Minister Taro Aso ever since he entered politics. How Specifically Does Japan's LDP Want to Revise the Constitution?How Can Japan Improve Its Relations With China and South Korea?With His Reelection As LDP President, Shinzo Abe Is Firmly in the SaddleIs This a True Thaw in Sino-Japanese Relations?Japan Holds Off US Auto Tariffs. But at What Cost to Farmers?